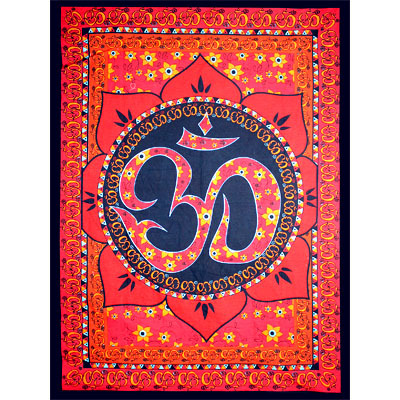 Om, according to Vedic scripts, is the sound of life. It means oneness with the Supreme, the merging of the physical and the spiritual body. The chanting of Om revitalizes the body, soothes the mind and mourishes the soul. 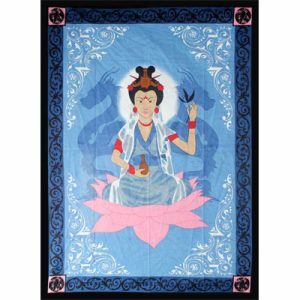 Hence, Om is considered the most powerful of all mantras. The lotus is a symbol of purity, peace, beauty, rebirth and fertility. Considered to be of divine origin, the lotus rising above the water is an inspiration to reach enlightenment.